Our expert Mobile Development Team / Programmers / Designers have been providing our Clients with high quality Wireless Application Development / Mobile Application Development in scheduled time & on budget. 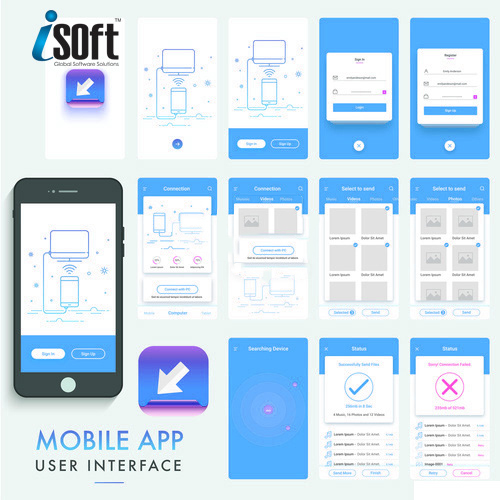 The iSoft Mobile team’s skill set and experience allows us to quickly gain the necessary insights into your business or concept idea. We ask the right questions that enable us to extract the critical information and project requirements to match your business objectives. Our planning team comprises of our business analyst responsible for scope and requirements. Our software architect who will deliver the technical vision and estimates of what is required to meet the brief. The project manager will then plan the successful implementation of each phase and be your point of contact throughout the project. The planning team then works alongside our design experts who can deliver a full branding service or work with your brands style guide to create beautiful and striking designs that are loved by your users. Our design team doesn’t differentiate between branding and design; to us these are one of the same. What is vital is that we understand your brand personality and values, who are your potential or existing users and what does your brand mean to these people. For us, the important aspect is how people react to your brand and the emotional connection they have with it. We explore design and branding concepts and discuss our thinking and the strategy behind those thoughts. Upon reflection we start to develop a single concept and refine and hone the idea further until we are satisfied with the proposed design solution. By using familiar UI (User Interface) patterns we can help users feel comfortable. Consistency is the key, once they learn to do something they will have the confidence to do it again and this process quickly becomes second nature and intuitive. Our beautiful designs are then matched with a well-designed interface that enables your users to have a better understanding of how to use the application and means they are likely to use the app over and over again. We specialise in iOS and Android mobile app development and have learnt how to simplify the development process for our clients. 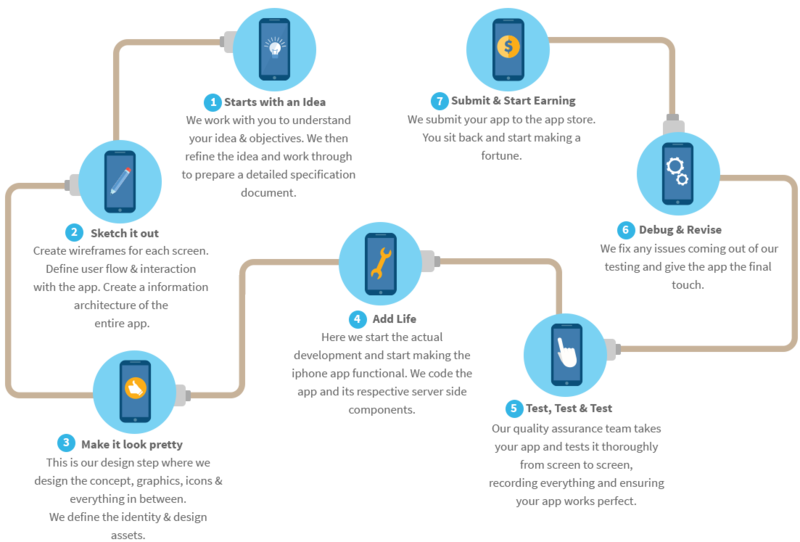 Our experienced team can guide you through this process and help establish the mobile strategy that is right for your business. Our developers are experts in building custom apps that wow their intended users and disrupt established markets. We pride ourselves on our creative and professional approach to our work and love working in software development. This passion is evident in our long standing client relationships and the dedication we bring to each and every project. We don’t work with every potential client who get’s in touch, we work with committed and passionate businesses and entrepreneurs who want to build the best product they can. Your app can be a business app that enhances productivity, a Multimedia app with rich UI’s or a Utility app for specific functions. 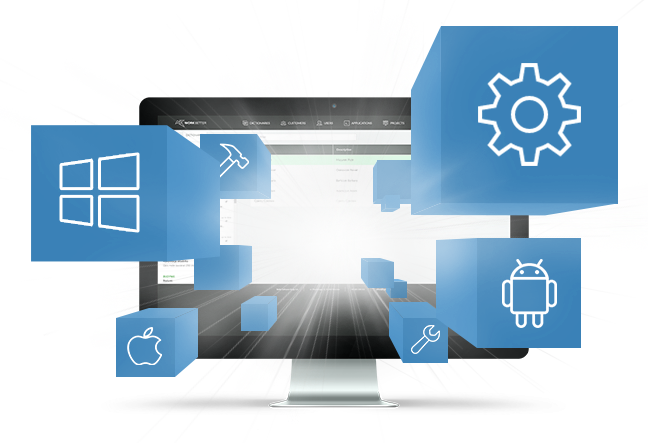 We offer skilled Android application development services which are feature-rich and low cost. Android developers at CMTech develop apps using latest technologies and trends of google play services and android SDK. Our app makers are skilled not just to develop the app we believe in providing business solutions.